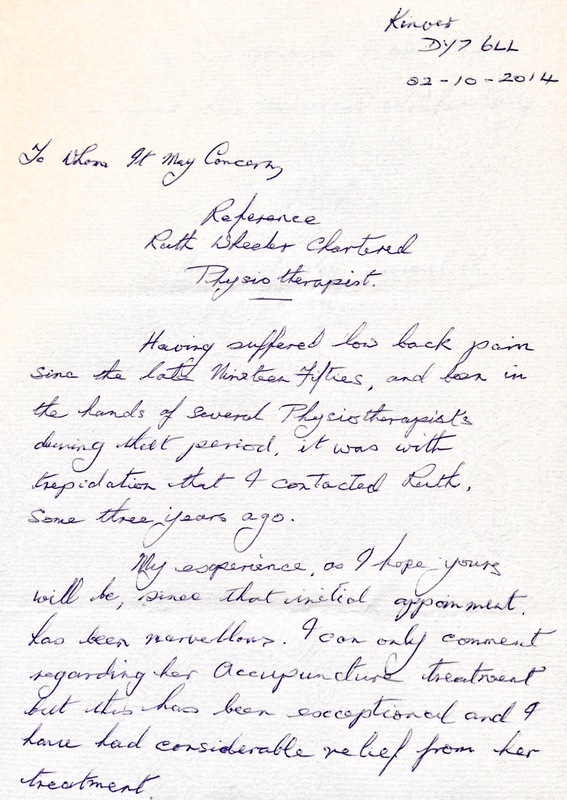 Having suffered low back pain since the late nineteen fifties, and been in the hands of several Physiotherapists during that period, it was with some trepidation that I contacted Ruth some three years ago. 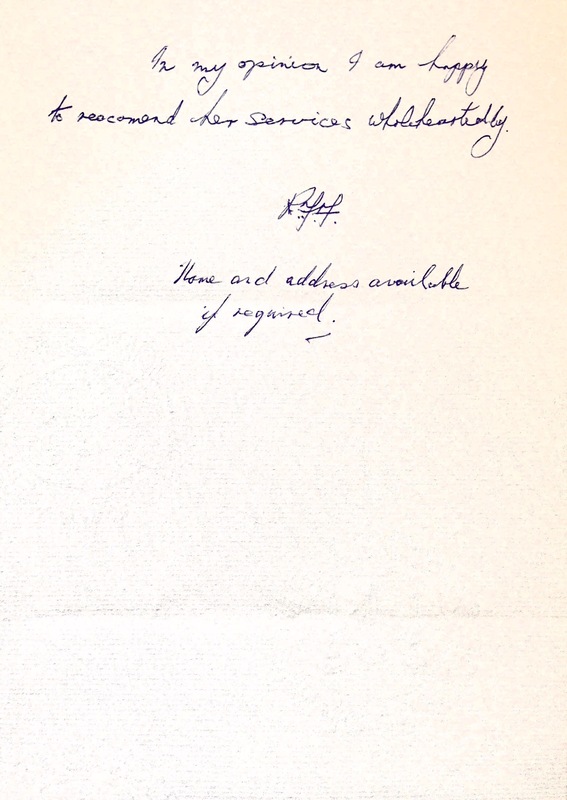 My experience, as I hope yours will be, since that initial appointment has been marvellous. I can only comment regarding her acupuncture treatment but this has been exceptional and I have had considerable relief from her treatment. In my opinion I am happy to recommend her services wholeheartedly. 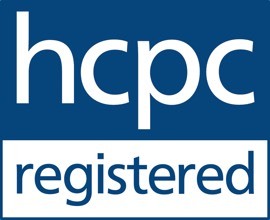 …knowledgeable, kind, patient, and non-judgemental. Giving inspiration and hope to anyone suffering in pain that through her practice she may alleviate pain or suffering and if not, help to point someone in the right direction regarding lifestyle to motivate them and help themselves. She has done this for me and I suppose many others. An outstanding professional. The care that I have been shown as a patient has been excellent and I have gained so much more mobility with following the exercises. 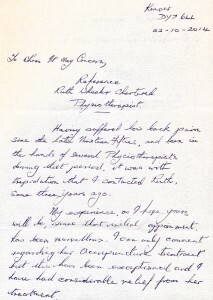 “I just wanted to express my appreciation for your help…your quick diagnosis in identifying the root cause of the pain and discomfort I was experiencing in my left arm…writing the letter for me to hand to the doctor…I believe I would still be waiting; fortunately Dr M agreed with your diagnosis and agreed to give me steroid injections. As a result I have noticed a dramatic change for the first time in months. The pain has dramatically reduced and I am able to go about my daily routine without wincing in pain every time I move my left arm. Dr M advised that he would not need to see me again but I should continue with physiotherapy to help me get back on track.